Chrome plated brass with ceramic disc. Working pressure 0.5-6.0 bar. Includes 2 x tap tails. Height as fitted 145mm. Quartz Mono Basin Mixer Tap is rated 4.0 out of 5 by 4. Rated 3 out of 5 by omega015 from Good tap, good value just let down by poor quality Good tap, price, hose size etc... but unfortunately the quality control from the manufacturer is not as good. First one i bought, the lever was catching against the plastic dome, second one from online was older stock and full of marks/chips on the chrome. Replacement from store has mark on chrome and scrape on plastic dome. Went for a 4th replacement but checked in store and had a little mark on chrome. So do thoroughly check. 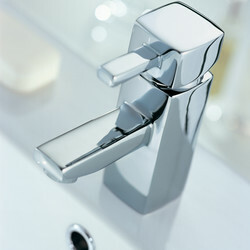 Rated 3 out of 5 by MrK Solihull from Looks good but .... Good replacement but tap lever is stiff and smooth in operation. Will look to replace with new cartridge at some point to see if this makes a difference. Rated 5 out of 5 by Steve J H from Great value Really pleased with this product. Good finish and quality. 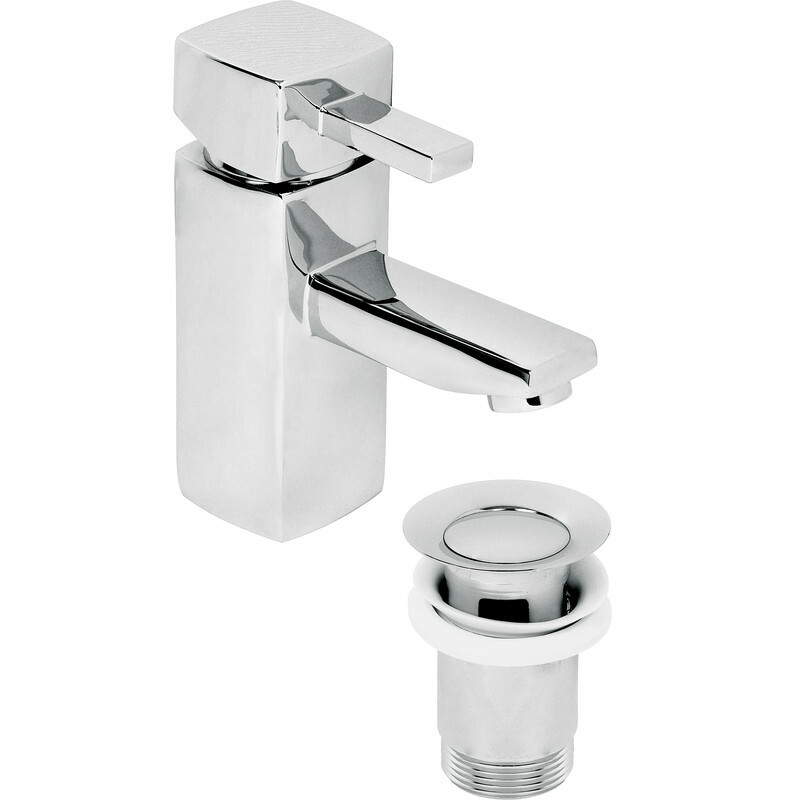 Rated 5 out of 5 by BB82 from Splendid buy The tap was excellent quality at a very good price. I was amazed at the finish of the tap against other we looked which cost over 3 times as much.